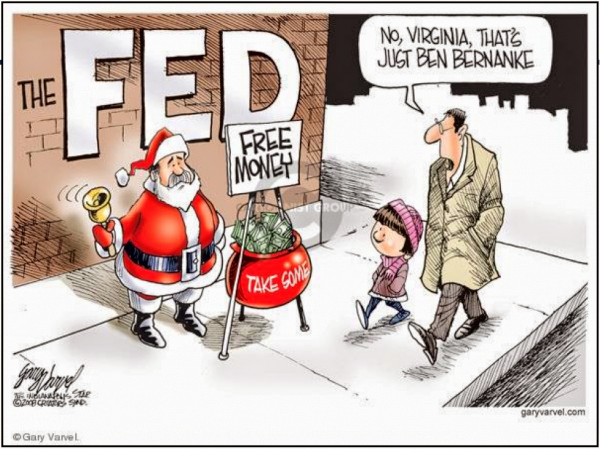 The only thing missing from the cartoon below is there is a minimum net worth requirement for "free money" eligibility. 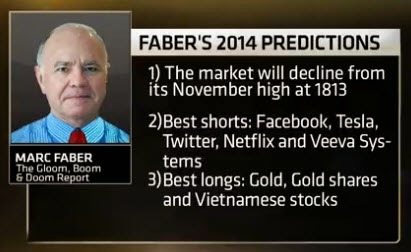 Marc Faber has 3 very contrarian predictions for 2014 that we are sure will have the yammering yay-bobs screaming. While "everyone thinks stocks can continue to rise," Faber sees "the US market as expensive," and will return very little over the next few years. Furthermore, he adds, while "some stocks are not terribly expensive; but just like in the year 2000, [social media] stocks are grossly over-valued," and a short basket in the most egregious will return at least 30% next year. 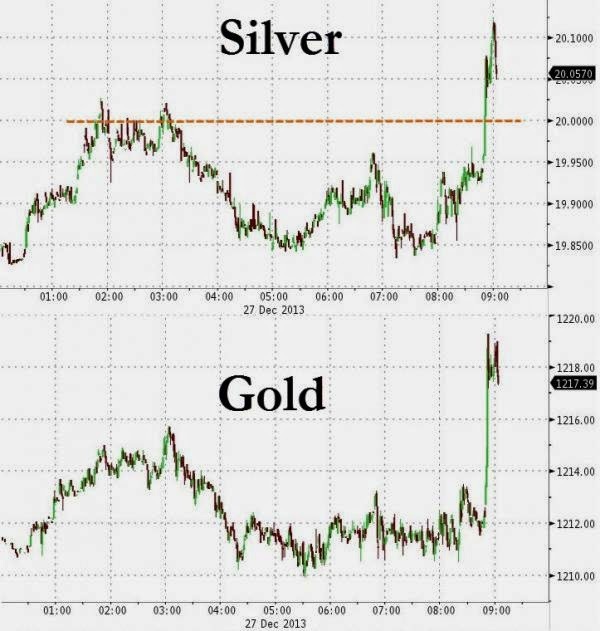 Lastly, Faber exclaims, "given all the money printing that is going on globally... physical gold is a good insurance." Govt allows deduction of CTT as part of business income. In a relief to commodity exchanges, the government has allowed deduction of Commodity Transaction Tax (CTT) to traders as it forms part of their business income. The move will benefit Multi Commodity Exchange of India (MCX), National Commodity and Derivatives Exchange (NCDEX), and Universal Commodity Exchange (UCX). The government may withdraw the recognition of these exchanges if found violating specified income tax norms. This notification will remain in force until the approval granted by the commodity markets regulator Forward Markets Commission is withdrawn or expires. Reacting on the development MCX said: "Trading on Exchange will get tax benefit deduction under Section 43(5) of the Income Tax Act". This will instill confidence in the market, increase hedgers' participation and put commodity futures trading at par with other exchange-traded asset classes, it said. 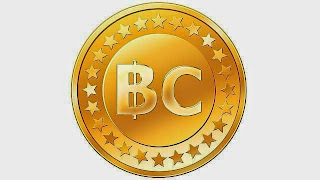 CTT of 0.01%, imposed on both buyer and seller of commodity on exchange platform came into effect on July 1. It is applicable on non-agricultural commodities and 11 processed foods. The tax imposed has dampened the business of these exchanges and their turnover has come down by 32% to Rs 74.16 lakh crore so far this fiscal. India is an elastic market, key fundamental data and announcements can have drastic effects on trading activity. Earlier this year, India’s government put new measures in place to tax commodity trading, the Commodity Transaction Tax (CTT) was implemented despite protest from the chiefs of all major commodity trading venues. As expected, trading volumes slumped with activity believed to be 40% to 50% lower. 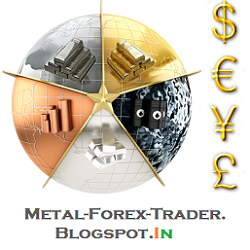 Technicals MCX Metals And Energy. 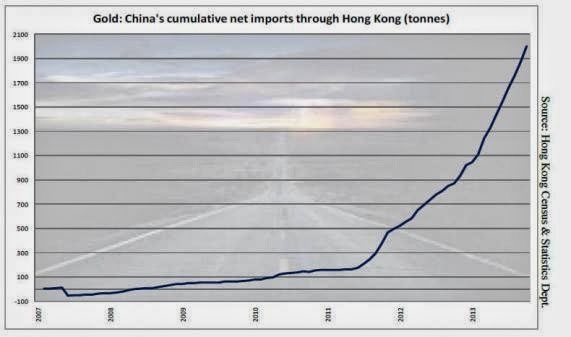 China is buying physical gold in unprecedented volumes at least 70-75% of world mining production this year. The gold price is approaching production cost again. We have the physical versus paper demarcation again (most commentators are clueless on this - the paper market is still determining the screen price, but it will probably die once and for all this time around – the question is at what level?). The Asians are being underestimated again when the price is declining (although not by the BIS - China is buying physical gold in unprecedented volumes – at least 70-75% of world mining production this year). The Big Squeeze - Mystery Hand Scoops Up Copper. Someone has made a near billion-dollar bet on copper this week, virtually cornering the world's key stocks of the metal. The London Metal Exchange does not identify investors holding positions but data <0#LME-WHT> on Friday showed that a single participant was holding 50-80 percent of available copper stocks on the LME, which handles the bulk of trade in the metal. The position was nominally worth up to $753 million. Earlier in the week, one investor - presumably the same - had held over 90 percent of short-term trading instruments <0#LME-WHC> on LME copper - a position worth at least $862 million on paper. Traders have no clear idea who is behind it. "The tightness is there. 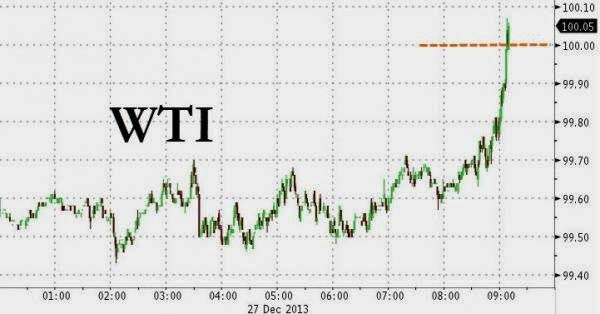 It's bubbling underneath," said Wiktor Bielski, head of commodities research at VTB Capital. "I don't see this situation abating," said one trader. "There's really no copper around at the moment." Copper stocks in LME-registered warehouses have declined by 44 percent since June to 382,550 tonnes. Moreover, much of that has already been earmarked for delivery or is located at warehouses suffering from delivery backlogs. 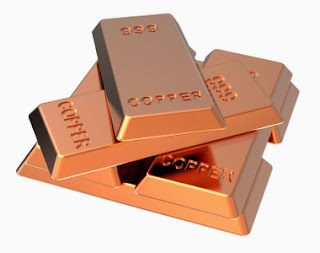 The LME’s smaller U.S. rival in copper, the CME, has set a limit of 1,200 lots. Each contract is worth over 11 tonnes. On the LME last week, as short holders scrambled to cover, the benchmark cash to three-month spread flipped into backwardation - meaning copper for immediate delivery is more expensive that later-dated contracts. The premium surged to $30 per tonne on Monday, the highest since May 2012. Westgate said his research showed that there was strong potential for further spikes in spreads since historically when available copper stocks declined to levels of around 130,000 tonnes, spreads are more volatile and can trade anywhere from a $50 contango to a $250 backwardation. TOKYO, Dec 19 (Reuters) - Japan's aluminium premiums for January-March shipments were mostly set at $255 per tonne, up at least 3 percent from the prior quarter and matching a 2012 record high, on strong demand and high overseas rates, four sources close to the deals said. Japan is Asia's No.1 importer of aluminium and the premiums for primary metal shipments it agrees to pay each quarter over London Metal Exchange (LME) cash prices set the benchmark for the region. "Producers were bolder this time as China has stepped up purchases of the metal lately for arbitrage, with some paying hefty premiums above $260," a buyer at trading house said. "To secure stable supply, Japanese buyers felt they need to accept the higher premiums," he said. 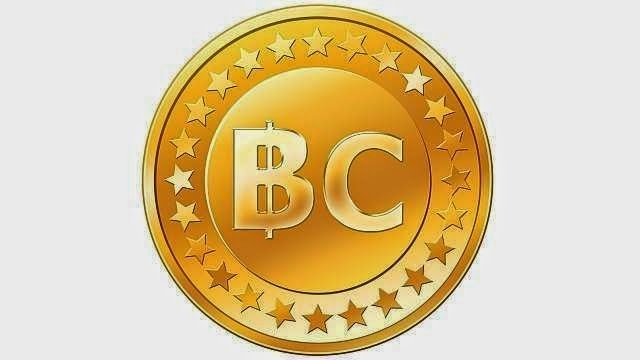 A source at one of the end-users said most deals were done at $255 this week. Another source at a producer agreed, saying most deals were booked at $255 while some were done at $256. The first quarter premium is up about 3-4 percent from the fourth quarter's $245-247 per tonne and matches the record high of $254 to $255 hit in the fourth quarter of 2012. Recovering demand in Japan on increased automobile output and a rush to build homes ahead of a sales tax hike next April, as well as concerns about supply were also among reasons for the higher premium, traders said. The latest quarterly pricing negotiations began late last month between Japanese buyers and global miners including Rio Tinto Ltd , Alcoa Inc, BHP Billiton and United Company Rusal . The premiums agreed are mostly in line with offers from some big aluminium firms of $255 to $256 per tonne, but significantly below the offer from the world's top producer Rusal. Rusal had asked for $270, citing tight supply and healthy demand in Asia, but then decided to lower the offer for competitive reasons, a company sales official said. Some buyers are still continuing talks, with an aim to come to an agreement this week, three other sources said. 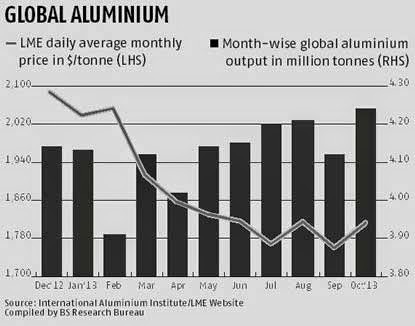 The high Japan aluminium premiums come after a recovery in spot premiums in Europe and the United States as the metal continues to be used as collateral for financing deals, making it unavailable to the market. The LME, the world's biggest industrial metals marketplace, announced a tougher warehouse policy on Nov. 7 to cut queues for delivery to a maximum of 50 days from over a year in some cases, after persistent complaints from metal buyers about the high premiums they had to pay. But it may take several years for the queues to disappear, lending support to premiums. Duty-paid aluminium premiums in Rotterdam, which have risen steadily since late October, traded at a high of $250-275 a tonne in December from around $235-255 in September. The U.S. premiums paid on top of the LME benchmark for physical delivery AL-PREM are also heading to historic highs around 11.25 cents per lb or $248 per tonne, after falling to 9 cents a few months ago on uncertainty about the impact of the LME's overhaul of its warehousing policy, according to traders. "Many producers are apparently suffering because the metal price at LME has been hovering at around $1,800 per tonne. They are charging a higher premium to offset cheaper metal price," a trader said. LME aluminium prices have lost almost 14 percent so far this year. "It looks like the premiums will be staying at high levels next year unless the metal prices recover in a big way." Production surplus to keep copper on leash. 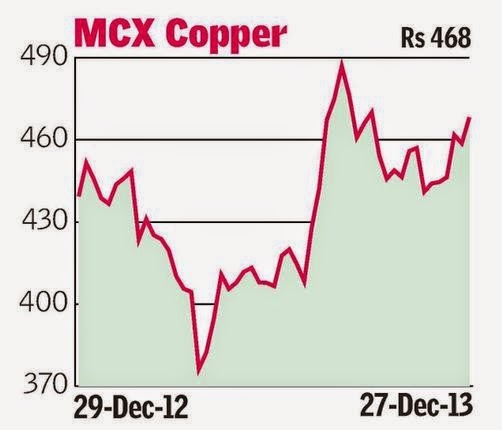 Commodity markets to see subdued activity.